With the 4th of July less than a week away, we’ve been living in our reds, whites, and blues! Honestly that color combo just reminds me of summer so we wear our stars and stripes all season. 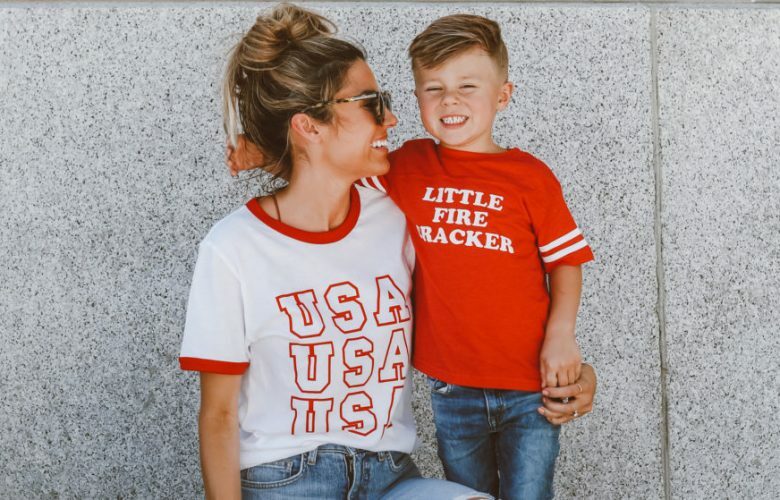 We just added our new USA Ringer tee to Shop Hello Fashion (previously ILY Couture) and I love the retro vibe of it! 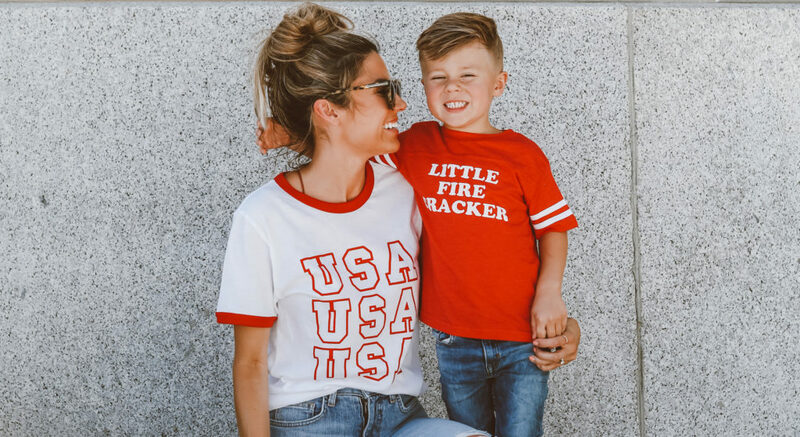 We also added this Firecracker kids tee – is it the perfect description for any one else’s kids?  B has so much personality! We also brought back some of our best sellers this season – the Stars & Stripes tee is one of my favorites and love our off-the-shoulder star sweatshirt (hoodie version here) as an extra layer when the sun sets and the fireworks start. Also love our USA Varsity tee for a more subtle feel, or you can fully embrace the festive feels this summer with our America baseball tee. You can shop our full 4th of July collection here. What are your favorite pieces?